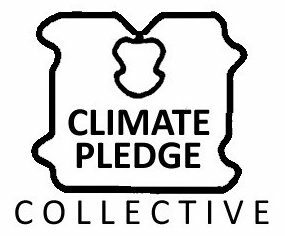 The Climate Pledge Collective is only as strong as the people participating. We planted a tiny seed, but climate change is a giant problem, so we need you to gather the seeds and sow them anywhere they can get a foothold. You can use our pledge sheets, or you can do something completely different and take the movement in a new direction. Get your friends and family to pledge. Throw a vegan potluck, talk climate and share recipes. Set up a booth, table or picnic blanket in your neighbourhood and talk climate. Canvas your school, workplace or neighbourhood for more pledges. Translate or adapt our pledge sheets for your city or region. Make a video, website or instagram account sharing carbon-reduction tips. If you want to game-ify your carbon reductions install the Random Acts of Green App. Go to a climate march or protest. Check out other organizations like act350, Council of Canadians, The Climate Mobilization (US), Project Drawdown and the David Suzuki Foundation. Feel free to download and use our logo!